Democratic Republic of Congo’s incumbent president at last confirmed on Thursday that he will not seek another term in long-delayed elections. Rumors have been rife that he would run again, which led to protests in various parts of the country. In 2001, at age 29, Kabila became president after the death of his father Laurent Kabila, and thereafter ruled for two terms. Although the Democratic Republic of Congo's Constitution has a presidential two-term limit, there were reportedly efforts by Kabila to get around this limit. “Joseph Kabila is not going to stand again. He has openly announced that he would not stand again,” Richard Mbuge, a senior member in the governing coalition government, told Anadolu Agency. He said that as Kabila is stepping aside, the governing coalition has appointed the permanent secretary of the ruling People’s Party for Reconstruction and Democracy (PPRD) to run for president. Democratic Republic of Congo President Joseph Kabila will not stand in December's presidential election, a spokesman said on Wednesday, announcing that former interior minister Emmanuel Ramazani Shadary would be the ruling coalition's candidate.The announcement by spokesman Lambert Mende at a news conference puts an end to years of speculation about whether Kabila would defy term limits to run for a third term. Shadary will run against former Vice President Jean-Pierre Bemba Gombo and others yet to be announced. 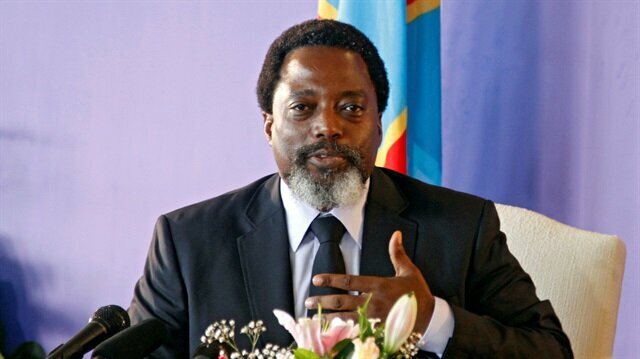 Kabila was supposed to leave power in 2016 but refused to do so, saying that presidential elections could not take place as most of the voters had not yet been registered. That led to protests in which over 50 people were killed. However, now the national electoral commission has completed registering voters all over the country and elections are set to take pale before year's-end.